Yeah – I know – I never say anything. Things are weird and busy and crazy here. And the power has been out since 10:45 Tuesday night. Yes, it is now Thursday. I’m fully, fully aware. Everything in the refrigerator is ruined (guess what – I went to the store on Tuesday night!). The cats keep sneaking up on each other and fighting. The bird thinks he is being punished because you can explain to a small child why the lights do not work, but not to a bird. 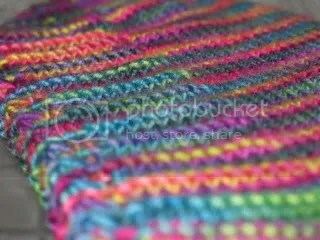 I have finished socks. I did that Tuesday night at least. 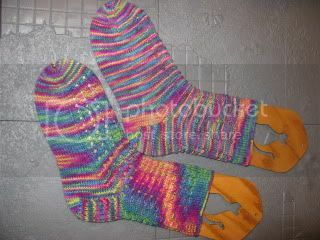 These are from the Rockin Sock Club (Blue Moon Fiber Arts) and I did one sock from each pattern. So they are the same yarn but different socks – fraternal twins. My attempt at being artistic. Because sometimes I get all weird with the camera. Here is Mark’s birthday cake too. 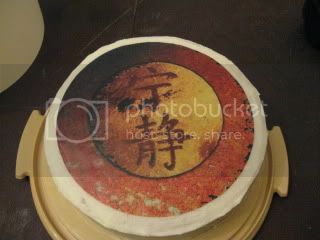 I had the image printed and then with the help of a friend who is good at this sort of thing stuck it to the top of the cake. It was tasty, and not the least bit weird. I’d leave you with the bird, but sadly it is hard to take photos in the dark.